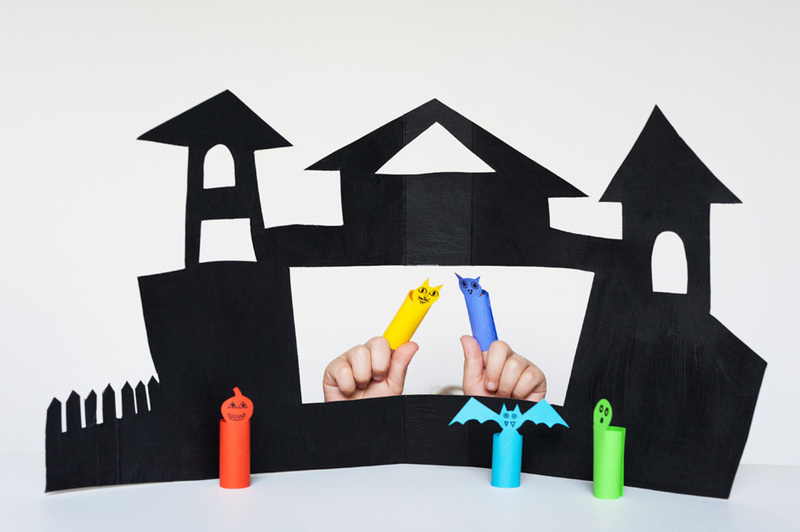 Finger puppets have always been a favorite craft with my family. 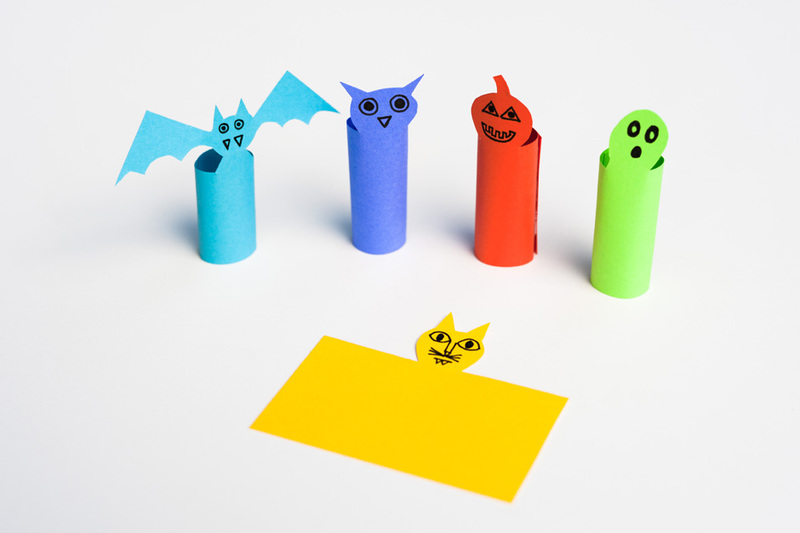 The kids love using their creativity to design new puppets, but they also get to continue using their imaginations as they act out stories with each character. 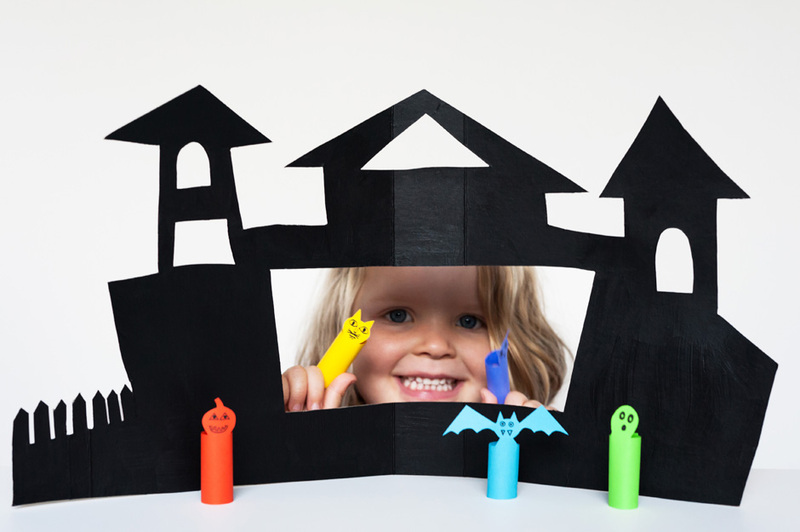 We can spend hours around the table crafting, acting and entertaining each other for some fun family time! 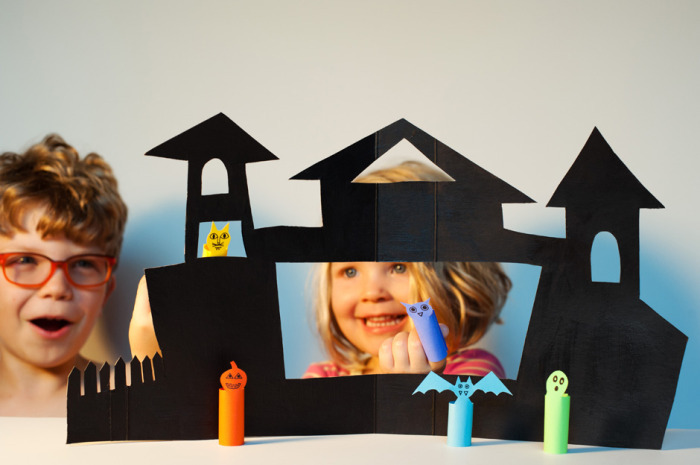 For this set of puppets, we also created a Halloween puppet theater out of a used cereal box. 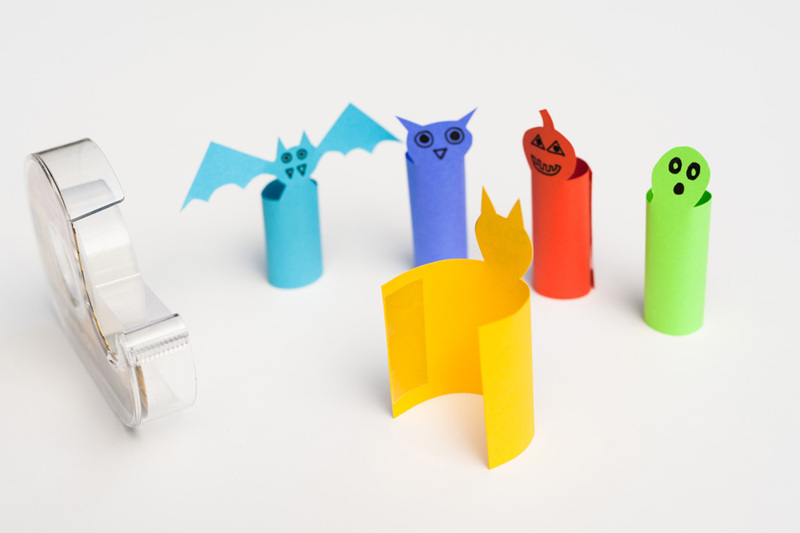 It turned out to be quite an inspiring prop for some hilarious impromptu Halloween skits. Simple instructions below to create your own Halloween puppets and theater! 1. Cut an empty cereal box down the side so it opens flat. 2. 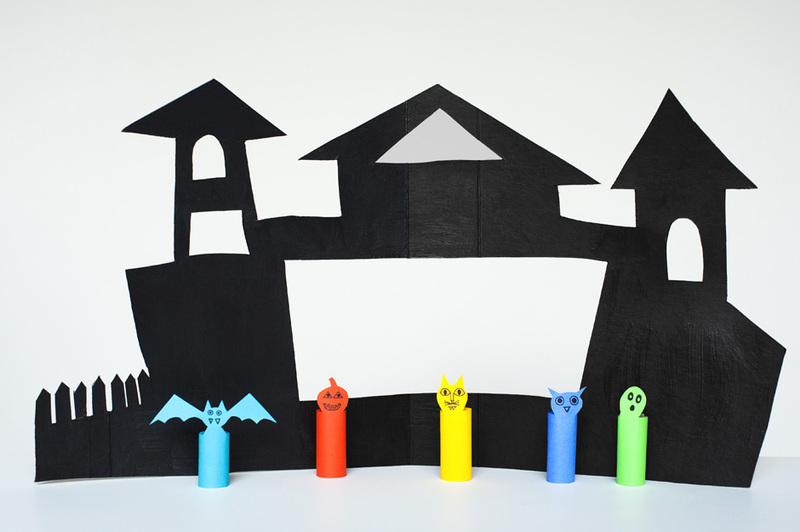 Draw a haunted house using your own design (kids can draw it too! 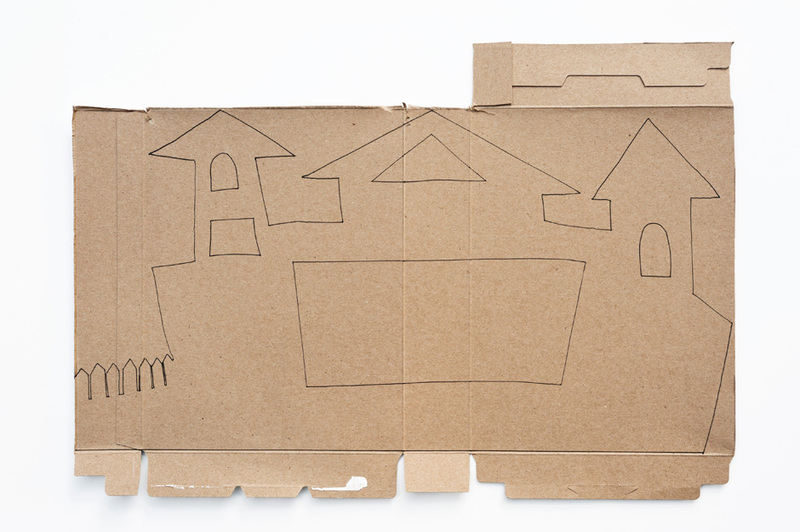 ), or use this template. 3. 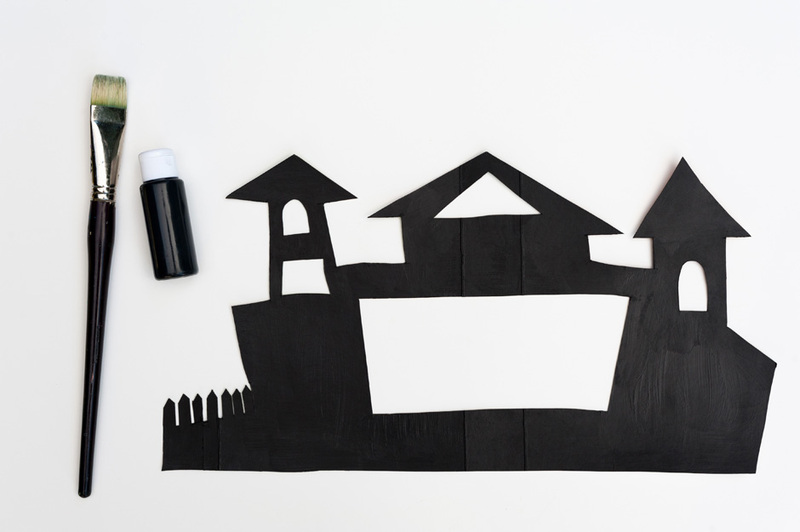 Cut the house out using scissors and or craft knife. 4. Paint or color the house any color you’d like. I used black paint, but you could also just use pens or crayons. 5. Once it’s finished, you can stand up the house by folding it slightly along the folds that were in the cereal box. 2. Cut the puppets out with scissors. 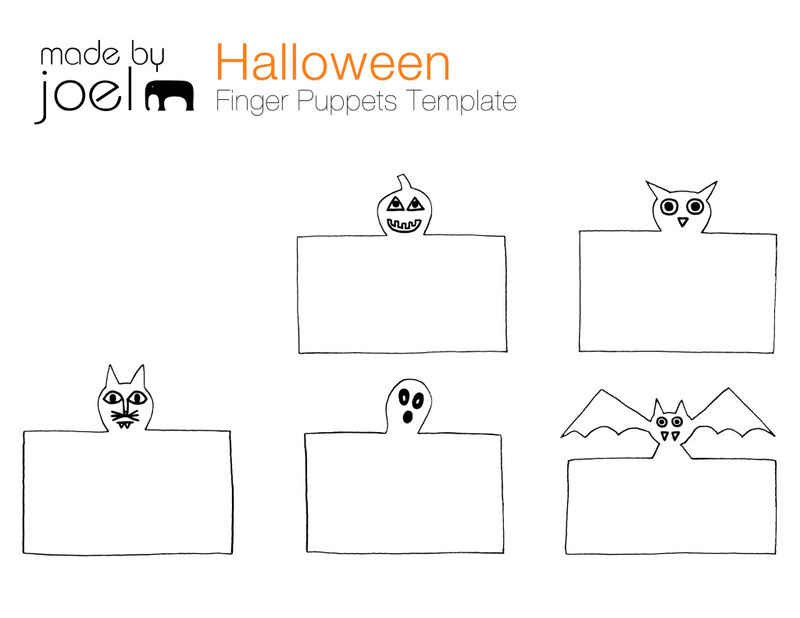 Finger Puppet Template: Click on the image below, then print. 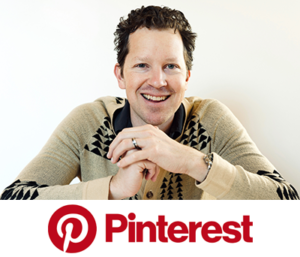 This craft is also featured on Pottery Barn Kids.